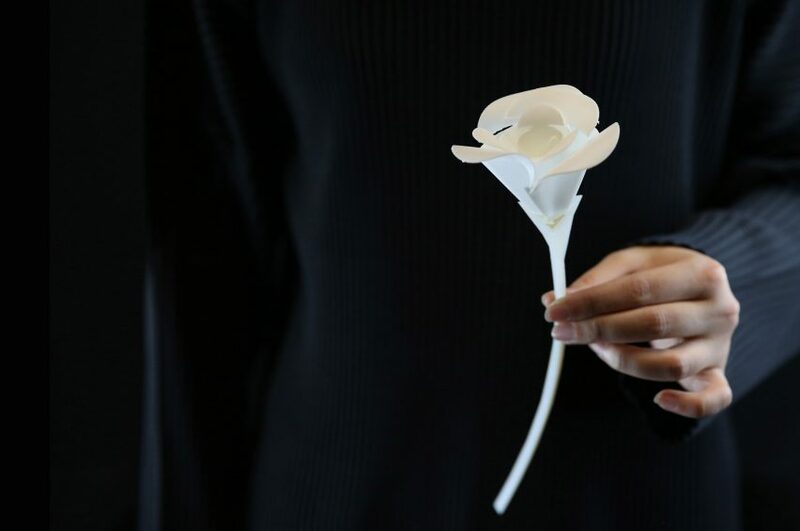 The self-folding objects, made by researchers at Carnegie Mellon University’s Morphing Matter Lab, are 3D-printed from plastic that changes shape when heated. The researchers believe that the process could be the first step towards producing products, such as flat-pack furniture, which could assume its final shape with the help of a heat gun. 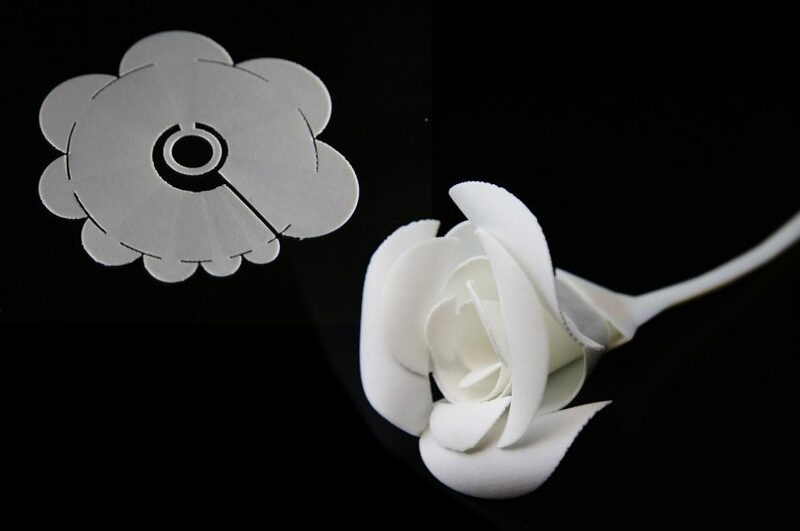 Created using an inexpensive 3D printer, the plastic items that include a rose, a boat and a bunny, are assembled by taking advantage of the warpage that can occur after printing. While warpage is typically considered a defect, the Morphing Matter Lab has turned it into an advantage. The process has been named Thermorph. It uses an FDM printer, which works by laying down a continuous filament of melted thermoplastic. These materials contain residual stress and, as the material cools and the stress is relieved, the thermoplastic tends to contract, which can sometimes result in warped edges and surfaces. By varying the speed at which the filament is deposited and combining warp-prone materials with rubber-like materials that resist contracture, the team were able to precisely control the process. 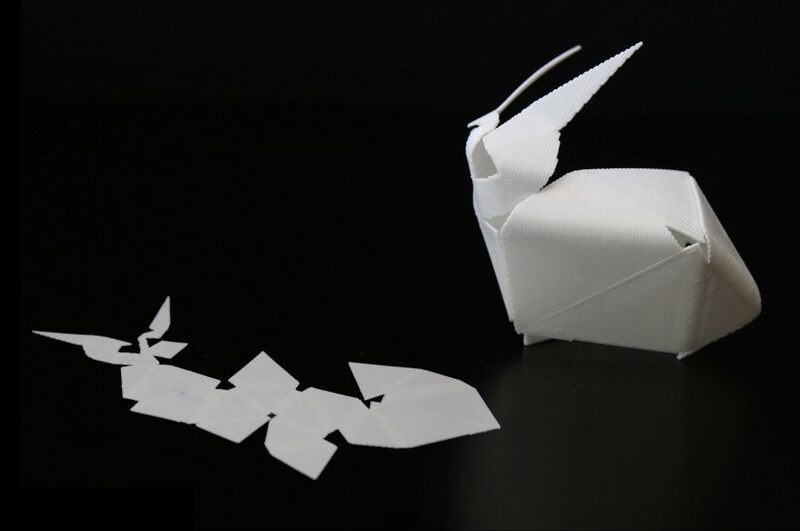 “Though we used a 3D printer with standard hardware, we replaced the machine’s open source software with our own code that automatically calculates the print speed and patterns necessary to achieve particular folding angles,” said the research team. “The software is based on new curve-folding theory representing banding motions of curved area,” they continued. The objects emerge from the 3D printer as flat, hard plastic, but when they are placed in hot water the folding process is triggered. The researchers believe that the technology could also be used to print larger self-folding structures such as chairs, boats, satellites or even emergency shelters that could be shipped flat and folded into shape under the warmth of the sun. “Through an interactive, end-to-end design system, we wanted to see how self-assembly could be made more democratic,” the team concluded. Led by Lining Yao, assistant professor in the Human-Computer Interaction Institute and director of the Morphing Matter Lab, the group’s research was presented at the Conference on Human Factors in Computing Systems earlier this week in Montreal. 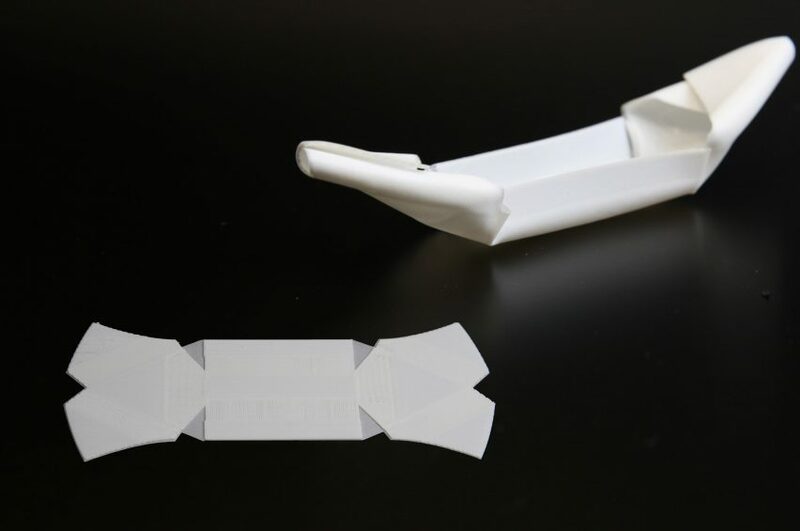 Other researchers to explore self-folding technologies include MIT Media Lab’s Tangible Media Group, whose Aeromorph inflatables fold themselves from flat sheets into complex origami. Meanwhile, another group of researchers at MIT created a new material called Active Auxetic that expands and contracts when exposed to different temperatures.